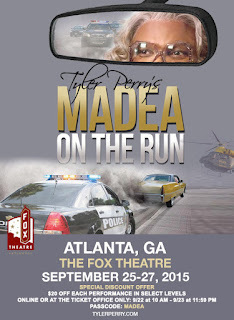 The Fox Theatre is offering a special discount offer for Tyler Perry's Madea on the Run, playing September 25 - 27 in Atlanta. 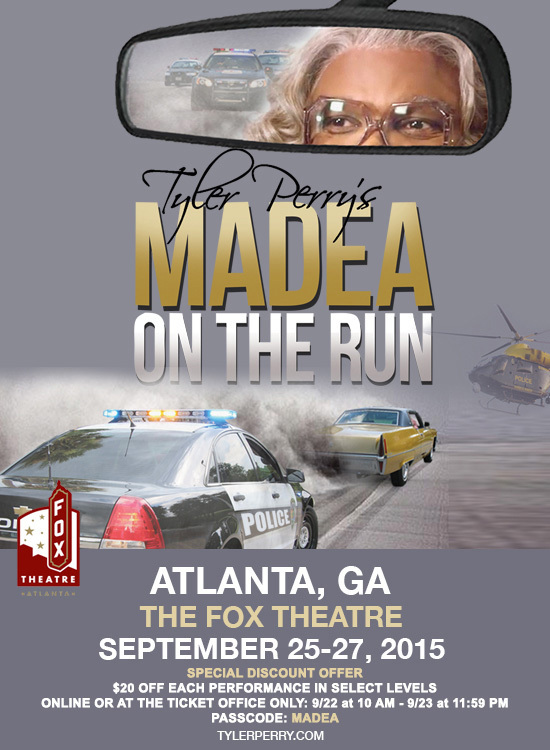 Use the passcode Madea for $20 off select levels in each performance. Tickets may be purchased at the ticket office or online.